At Murphy's Design we learned very early on that we have a pretty even split in the types of clients we have. We have clients that are having their homes remodeled for themselves, so that they can better enjoy their space for many years to come. And we have clients that are remodeling their spaces for resale, to increase the value of their homes, but first they want to enjoy it prior to selling. As more time went on we had customers asking us to both help them update their spaces for them and to help them prepare their spaces for selling right away. Lauren Murphy is our certified Home Staging and Interior Redesign expert with a certificate in Home Staging and Redesign from the NAR recognized site homestagingresources.com. What is the difference between Home Staging and Interior Redesign? Although they're similar their purposes are very different. 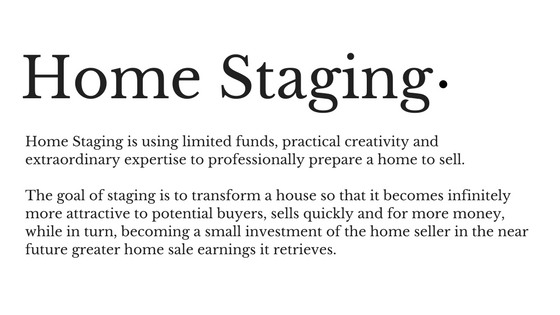 Home staging is preparing the home for the Home Buyers. Whereas Interior Redesign is preparing the home for the Home Owners. Here at Murphy’s Design we focus on Re-design most frequently, our home staging services are limited to walk thru consultations that give you a to do list that will get your house sold. If you're planning on selling your home in the immediate future and need it to appeal to the masses, feeling at home in the space then Home Staging is the service for you. Home Staging can include removing your furnishings and bringing in loaner furniture while the house is on the market. Our Home staging services include a detailed walk thru with to do task list, styling, and photography for the listing sites. Light construction work can be handled easily with our team as we will help you focus on only those things that will make an immediate difference. If you're not going anywhere for five years or more and are looking to enjoy the upgrades and feel more comfortable, more at peace, and more in love with your home until you are ready to sell then Interior Redesign is the service for you. What is the difference between Interior Redesign and Interior Decorating? "Many people use the terms “interior design” and “interior decorating” interchangeably, but these professions differ in critical ways. Interior design is the art and science of understanding people’s behavior to create functional spaces within a building. Decoration is the furnishing or adorning of a space with fashionable or beautiful things*. In short, interior designers may decorate, but decorators do not design. Interior designers apply creative and technical solutions within a structure that are functional, attractive and beneficial to the occupants’ quality of life and culture. The interior design process follows a systematic and coordinated methodology—including research, analysis and integration of knowledge into the creative process—to satisfy the needs and resources of the client. Excerpt from NCIDQ page “Differences Between Interior Design & Decorating“. With our Interior Redesign services we strive to make you feel more comfortable in your home. We want you to walk in and say, "This is it! This is the space that I envisioned myself living in, it's the perfect reflection of me and my family!" Achieving this requires a thorough understanding of you and your family in order to create a space that suits you and your needs perfectly. Both Home Staging and Interior Re-design puts a strong emphasis on making improvement without the high cost and heavy lifting of traditional remodeling.